Discussion in 'Trials' started by Huzband, Aug 16, 2018. I just got word that Jack passed away Monday from cancer. I never met him, but knew well of him. 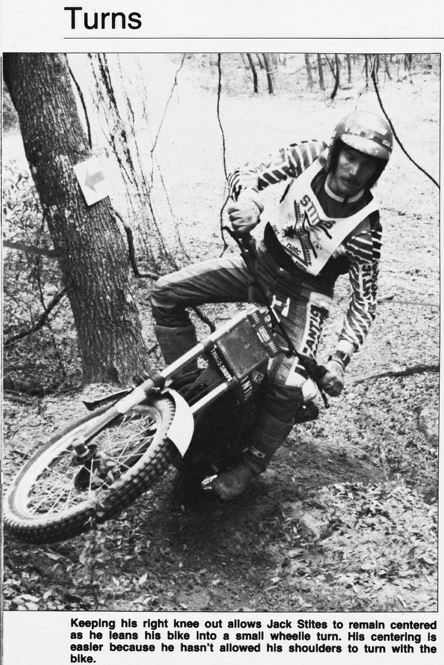 A long time trials enthusiast & one hell of a rider, both in & out of sections. He had a big impact on the Florida Trials Association, & thus has it's highest award named after him. Here's a photo of Alex receiving said award. My condolences to his family & friends. laser17, alpineboard, Kiharaikido and 1 other person like this. First trials instructional video I ever watched. Godspeed Jack. got me started in trials. I will never forget his kindness and patience toward a noob like me. May God give him eternal rest and the family the strength to bear the great pain. UstaKood, LowPSI, Brewtus and 2 others like this. I remember stopping somewhere in Tennessee to practice with him on the way home from the Alabama national to PA. He was a great rider and wonderful person. He will be missed. Brewtus and Huzband like this. Brewtus, Kiharaikido and Huzband like this. Jack was a great guy, a gentle soul and a fierce competitor. Proud to have known him. Brewtus, dean-o, Norman Foley and 1 other person like this. Here is his Pro Record according to NATC Past National Champs page, finishing as high as second in 1982 behind Bernie. dean-o, Huzband, Kiharaikido and 5 others like this. Huzband, dean-o, North ride and 3 others like this. Jack was a pioneer too. He was largely responsible for early Stadium trials events so popular in Europe. He commentated for them and the TV series Kick Start. Pretty much everyone in the UK watched Kick Start back in the day. Huzband and dean-o like this. It was an honor to get to share trials with Jack. It's been some years since I have looked at Len Weed's book (mine was borrowed and never returned) but I remember this photo well. I'm so sorry to hear about Jack's passing as I would follow his results and never forgot his name. It's very touching to read the comments posted about him . . .
rokhopr and Huzband like this.